There is a growing consensus that traditional instruction in basic science courses, in institutions of higher learning, do not lead to the desired results. Most of the students who complete these courses do not gain deep knowledge about the basic concepts and develop a negative approach to the sciences. In order to deal with this problem, a variety of methods have been proposed and implemented, during the last decade, which focus on the “active learning” of the participating students. We found that the methods developed in MIT and NCSU were fruitful and we adopted their approach. Despite research-based evidence of the success of these methods, they are often met by the resistance of the academic staff. This article describes how one institution of higher learning organized itself to introduce significant changes into its introductory science courses, as well as the stages teachers undergo, as they adopt innovative teaching methods. In the article, we adopt the Rogers model of the innovative-decision process, which we used to evaluate the degree of innovation adoption by seven members of the academic staff. 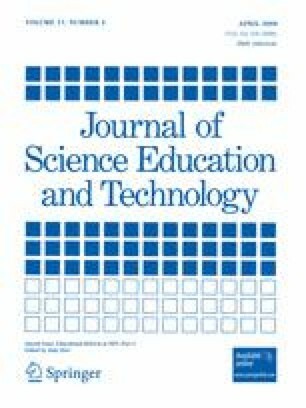 An analysis of interview and observation data showed that four factors were identified which influence the degree innovation adoption: (1) teacher readiness to seriously learn the theoretical background of “active learning”; (2) the development of an appropriate local model, customized to the beliefs of the academic staff; (3) teacher expertise in information technologies, and (4) the teachers’ design of creative solutions to problems that arose during their teaching.